There are many ways to make a burger. Some like it plain, with just a sprinkle of salt and pepper, medium rare. Then there are people like me, who add a bunch of things to their beef to hide the taste, or as I would put it, to use the beef as a vessel of deliciousness. I already have a Burger recipe up, and it’s delicious, but it’s more on the earthy side, with freshly crushed cumin seeds and a bunch of fresh coriander. This little number i’m about to introduce you to has bursts of freshness and just hits the spot with the layers of cheese that caramelise around it. I think I should just move on to the recipe, because there’s no point in explaining it’s greatness, you’re a good enough judge, so try it! burgers buns and the other stuff of course! It’s a pretty long list of ingredients, and you can make them without the shredded cheese, especially if you decide to stuff your burgers with cheese instead of topping them with it. You can also use a green bell pepper if you don’t have a red one, i’ve done that once or twice. So you just thrown everything into a mixing bowl, mix with your hands or a wooden spoon, divide the mix into 4 portions and shape each portion into a patty. Then it’s up to you. Cheese takes these burgers over the top. You can stuff each patty with two slices of cheese, I love using pepper jack, or you can put 2 slices of any cheese on top of each patty when there’s a couple minutes left until it’s done. That way the cheese melts on top and caramelises around the edges, and makes everything over the top delicious. You can make these on a grill, in your oven, or on a stove top griddle. (I ate my burger before I could take pictures, but i’ll be making them again, and then you’ll see! 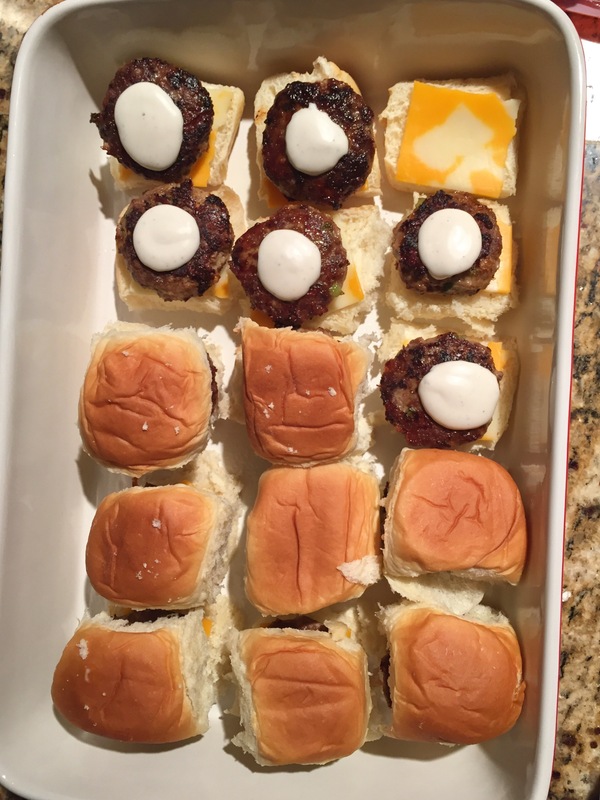 You can also easily turn these into 8-10 sliders. 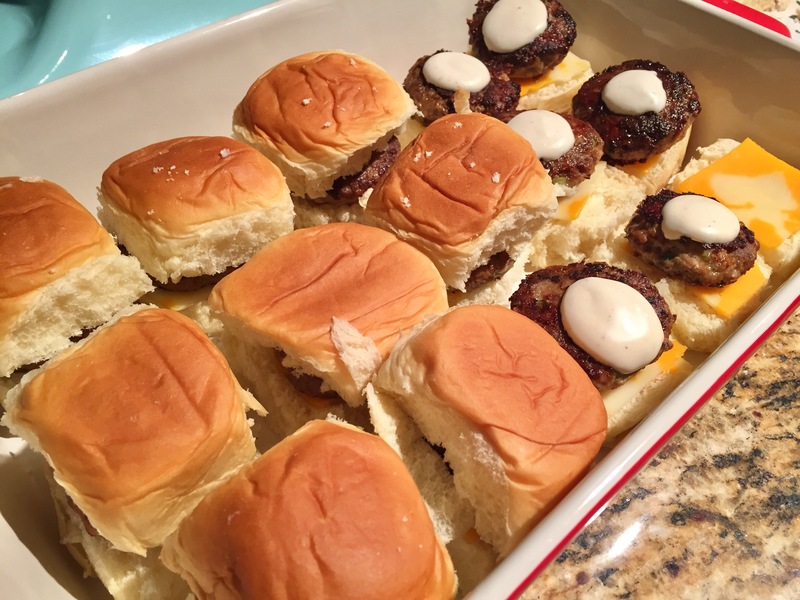 What sounds better than Pepper Jack or Cheddar stuffed sliders?